Are you a raymond weil watch owner? 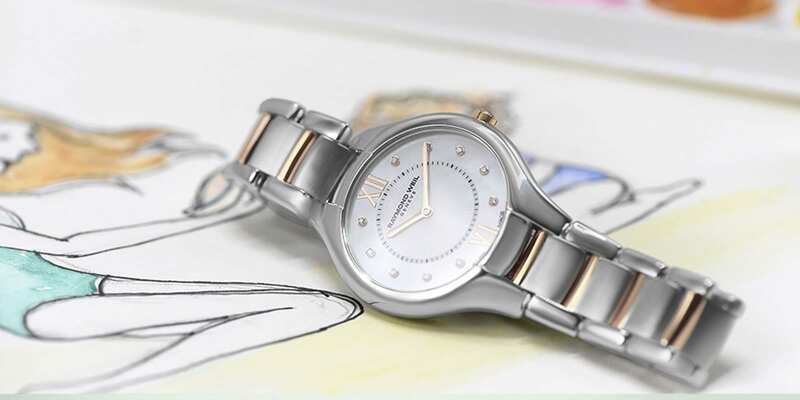 RAYMOND WEIL offers an extra year’s guarantee to its watch owners when they register with The WEIL Club. The Weil Club 3rd year guarantee extension is for a duration of one year in addition to and in the continuity of the RAYMOND WEIL standard two year International guarantee policy and is applicable to all watches bought from our network of authorised retailers from May 1st 2013. Therefore, it is the date of purchase indicated on your guarantee card that will determine if your watch is or is not eligible for the one year guarantee extension program. However, for watches bought before May 1st 2013, RAYMOND WEIL S.A. extends this privilege to watches still covered by the RAYMOND WEIL standard two year international guarantee. The Weil Club 3rd year guarantee does not entail to refunds on repairs conducted before or ordered by May 1st 2013. If you have recently purchased a RAYMOND WEIL timepiece and have registered it with The WEIL Club, you are entitled to a 3rd year guarantee extension. 1. Register with The Weil Club. The WEIL Club offers a direct customer service to its member. If you are a RAYMOND WEIL watch owner, register below. Be the first to know about RAYMOND WEIL novelties and news. Register to the newsletter below.